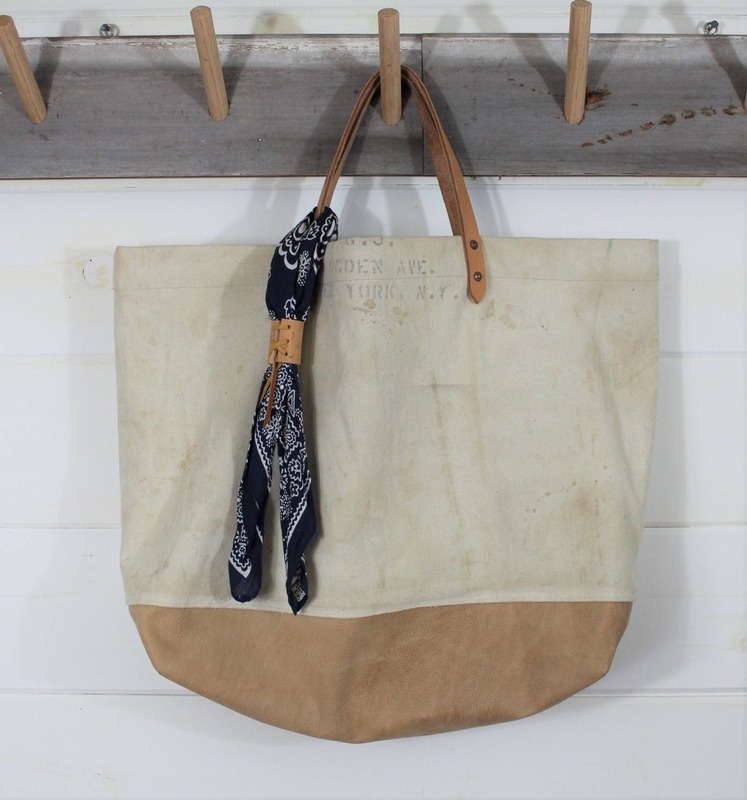 The fabric used to make this tote comes from a Vintage WWII Naval Duffel bag. 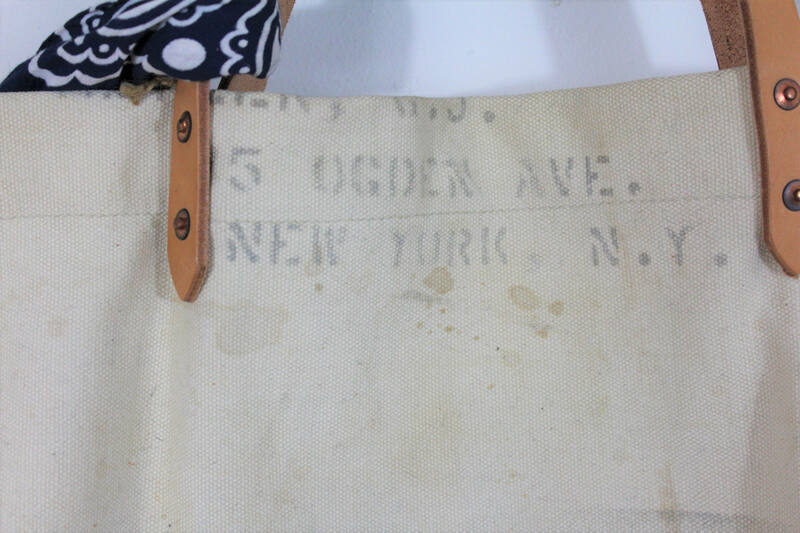 The natural colored bags were used in the Navy and this one has some incredible stencil print with the address of New York at the top. 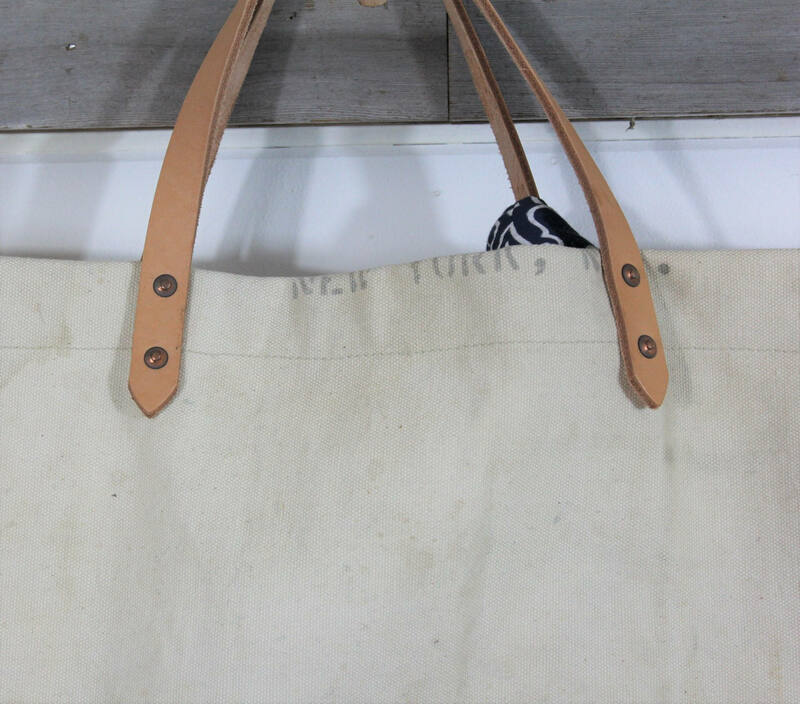 Whenever we use vintage naval bags we like to utilize and highlight any names or stampings within the bag design. We think this helps to share and carry on the heritage and history of each special piece. This truly makes each tote a one of a kind bag. 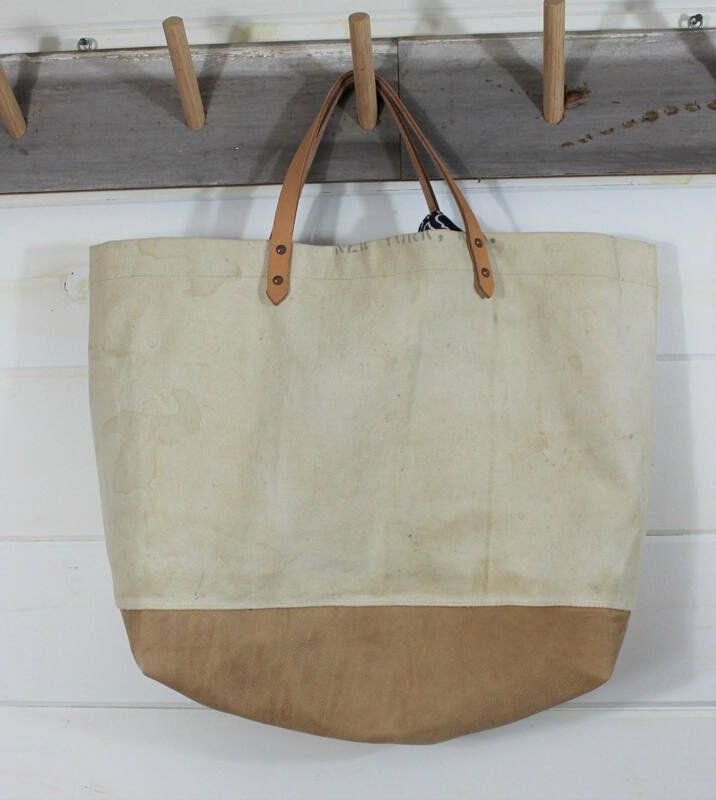 The tote is very large and can be used as a weekender tote. 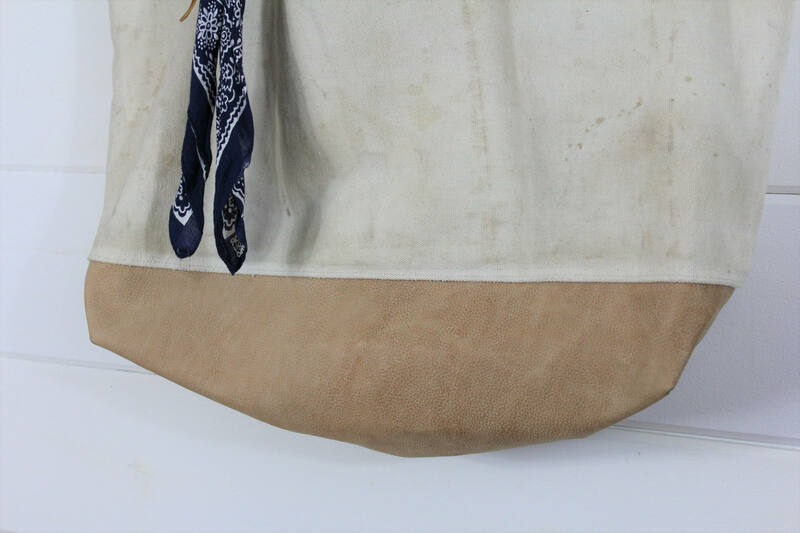 We also added a leather bottom to the bag for added durability. 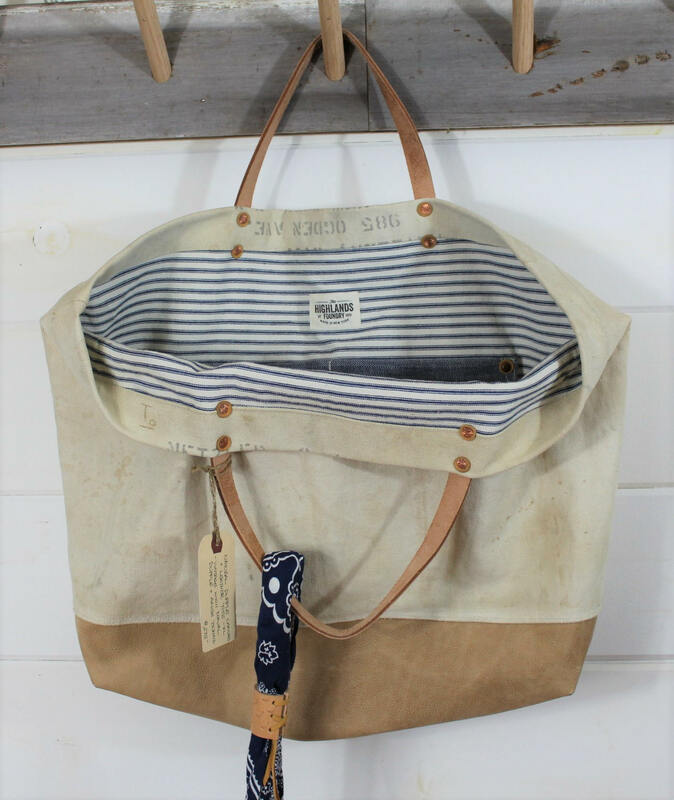 The tote is fully lined with vintage blue ticking stripe from the Amish area in Pennsylvania. 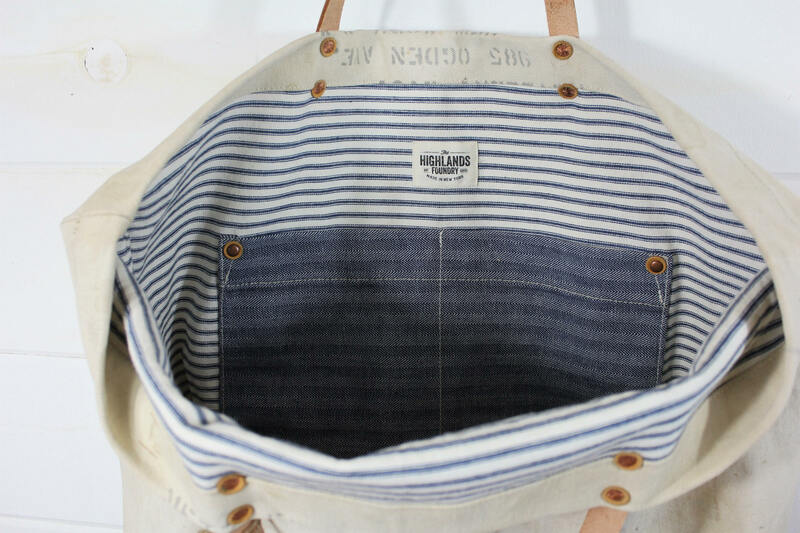 There is an interior pocket made from 1940s vintage workwear herringbone denim. The straps are a vegetable tanned natural 9oz. leather and secured with copper rivets.